Are you planning to move to an older house? 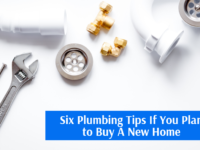 It doesn’t matter if you’re a first-time homebuyer or you’re just planning to relocate, you need to ensure that you do a proper inspection of the plumbing system during each house that you are seriously considering. While you may have planned to hire a professional plumber who can perform the inspection, there are various things that you need to look upon during the initial tour. Toilet Should be Flushed Often– Make it a habit to flush each toilet in every bathroom. This way you will get to know if any toilet has a weak flush, or if it produces a burbling noise which means that it has been running for a long time etc. Ensure Proper Size of Pipes is Used – Have you ever faced low water pressure at home? This is quite undesirable. That’s why it is important to inspect the size of the water pipes. The minimum size of the pipes should be ¾ inches from the water source to the home, and a minimum of ½ inches to faucets. Check the Shower Water Flow – In spite of the fact that you have done the inspection of the pipe sizes, you should turn all the faucets on and off to know the water flow. By turning each of the showers on you can best gauge the water pressure. Check the Condition of the Water Heater – You can ask the realtor about where the water heater is, how old it is. You can then give it a visual inspection by properly checking for any corrosion or buildup. Ask the realtor to provide you the details about the year of replacement of the heater and when was the last time it was professionally serviced. Check for Basements or Crawl Spaces – Generally, during any house tour we skip the inspection of the basements and crawl spaces. But you should ensure to spend ample time inspecting these areas for any possible water damage, leaky pipes are often missed during a tour. Abandon the Use of Lead – According to research studies, one in every six children has an above average amount of lead in their blood. It is better to avoid the homes that still have lead piping. You should either get all the piping that has lead content replaced or avoid going to such types of homes. If you have planned to buy a new home that has plumbing from the stone age, you need to ensure that you go through this checklist during your next house tour. Whenever your plumbing needs a professional inspection or repair get in touch with a licensed, skilled plumber from Plumbing and Heating Company in Manhattan, NYC.